Research on wearable controllers has shown that body-worn cords have many interesting physical affordances that make them powerful as a novel input device to control mobile applications in an unobtrusive manner. 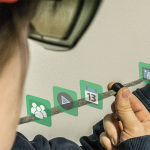 With this work, we want to extend the interaction and application repertoire of body-worn cords by contributing the concept of visually augmented interactive cords using state-of-the-art augmented reality (AR) glasses. This novel combination of simultaneous input and output on a cord has the potential to create rich AR user interfaces that seamlessly support direct interaction and reduce cognitive burden by providing visual and tactile feedback. As a main contribution, we present a set of cord-based interaction techniques for browsing menus, selecting items, adjusting continuous values & ranges and solving advanced tasks in AR. In addition, we present our current implementation including different touch-enabled cords, its data transmission and AR visualization. Our first cord sensor is made of a commercial SoftPot potentiometer that is sewn in a fabric cord (see A) and captures squeeze positions. The sensor is bendable and acts as a linear sensing device and can be used with any standard analog-to-digital converter (GND, 3.3V, A1) (see B). The video shows how a user slides about the cord, while in the background raw sensor values are displayed. Our second sensor integrates twelve capacitive pads and is made of multi-conductor zebra fabric and conductive yarn allowing multi-touch recognition without any instrumentation (see A). To sense all conductive pads we used a NXP MPR121 breakout board from Adafruit via I2C (see B). For our moveable ring slider sensor, we fabricated a series of prototypes in a iterative design process. Or first sensor (A) consists of a resistive cord and a dedicated wiper that measures the position. Our next iteration (B) is made of a double-sided cord with a resistive material and copper tape. A moveable ball bridges both layers and thereby creates a unique resistance. The second sensor has the disadvantage that the copper was cumbersome and tends to broke. Therefore, we developed a further version (C) with a highly conductive and very flexible cord. The video illustrates how a user moves the slider ring, while in the background the corresponding raw sensor values are shown. In addition, we add an additional tactile push-button at the end of the cord enabling explicit confirmations. The casing is 3D-printed with black ABS. For our current implementation, we use the Microsoft HoloLens as state-of-the-art AR glasses and place all visual control overlays in front of the user at the body-worn cord. The video shows how the control visuals are placed at the cord. 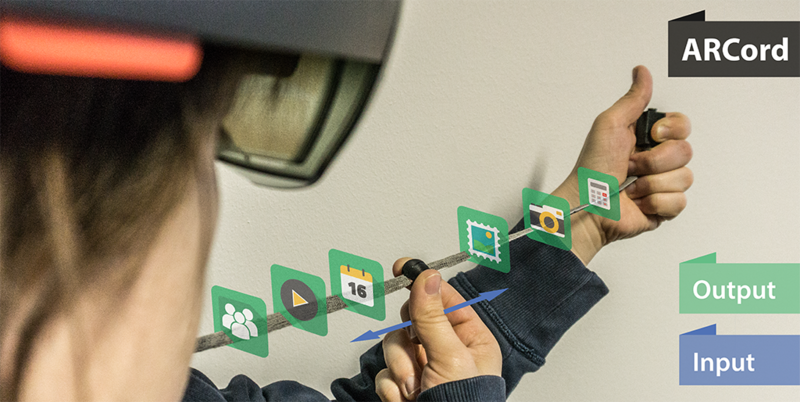 The video sequence was recorded with a second HoloLens. That is the reason why all controls are aligned to the video perspective. 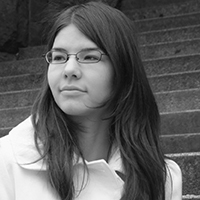 We thank Eva Morawietz for her conceptual work, initial prototypes and valuable discussions. Our work was in part funded by the German Federal Ministry of Education and Research (Twenty20 — Partnership for Innovation, project fastvpn, grant no. 03ZZ0514C). Flat icon set for Web and Mobile App Free Vector created by Freepik.